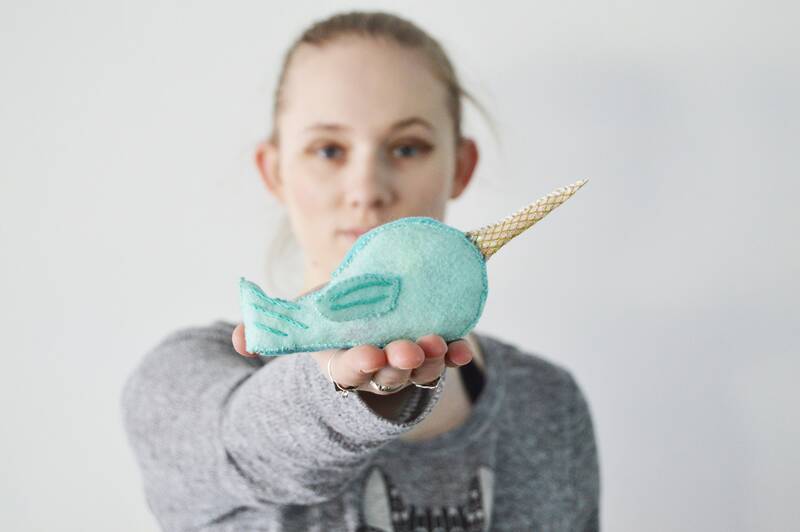 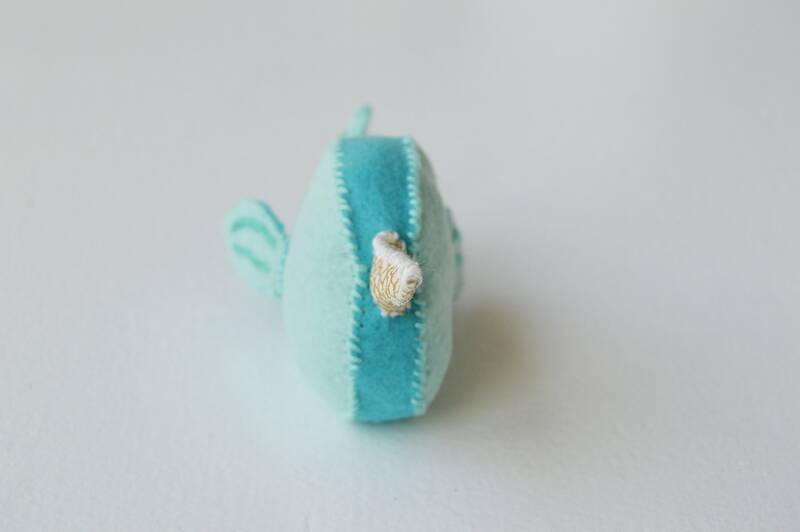 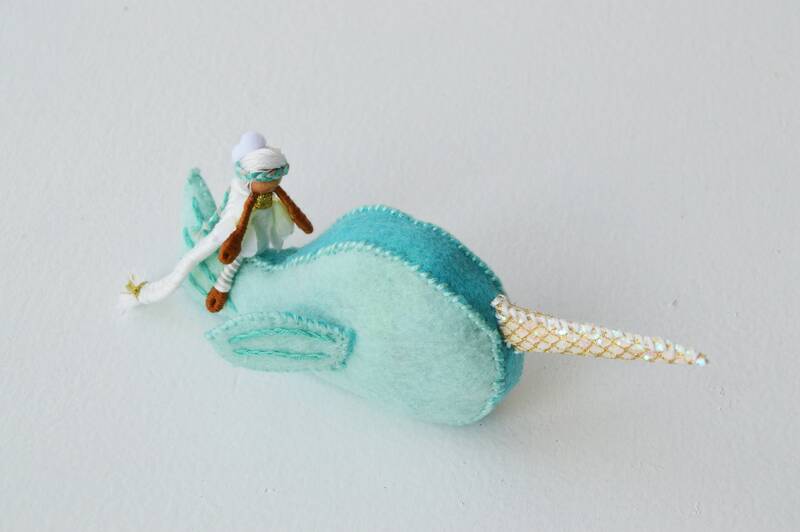 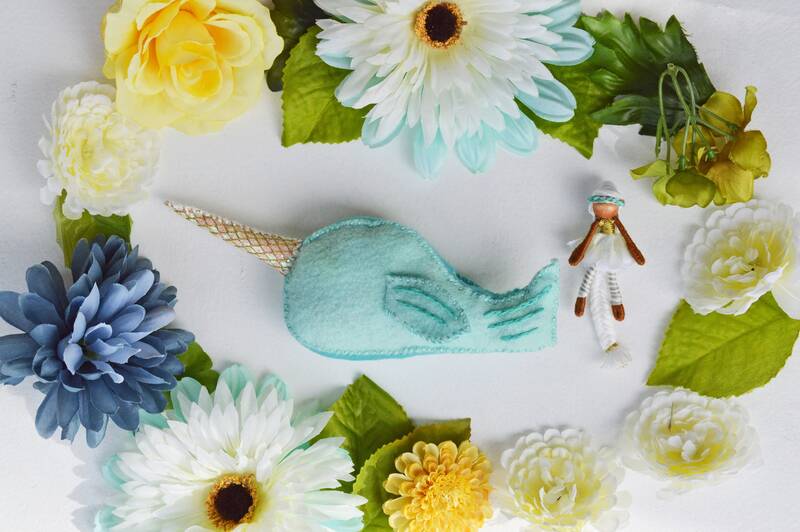 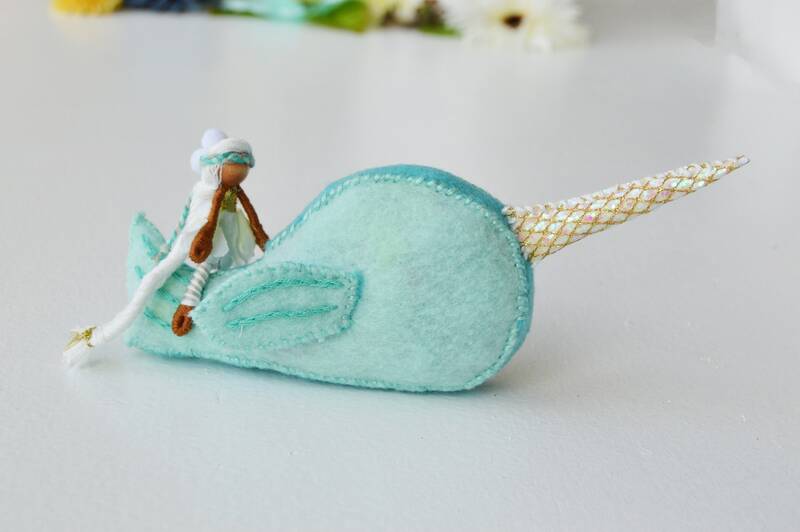 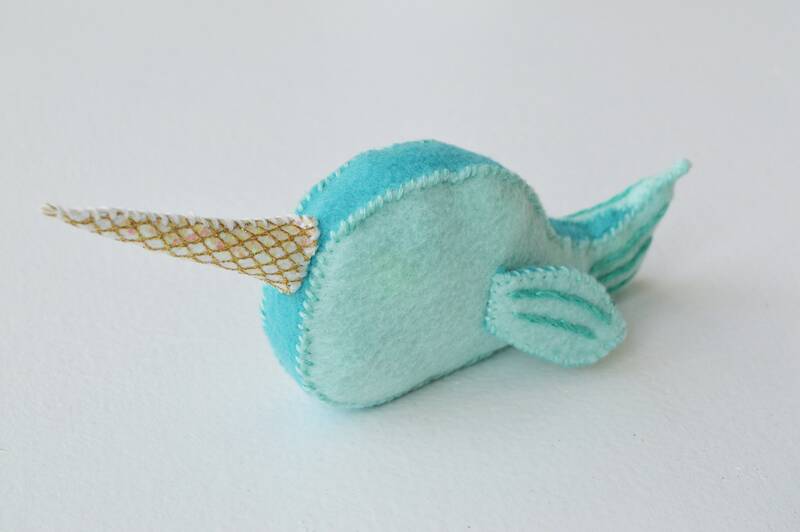 Meet Nola the felt Narwhal and Nadine the miniature fairy doll, waldorf toys ready for a fairytale adventure! 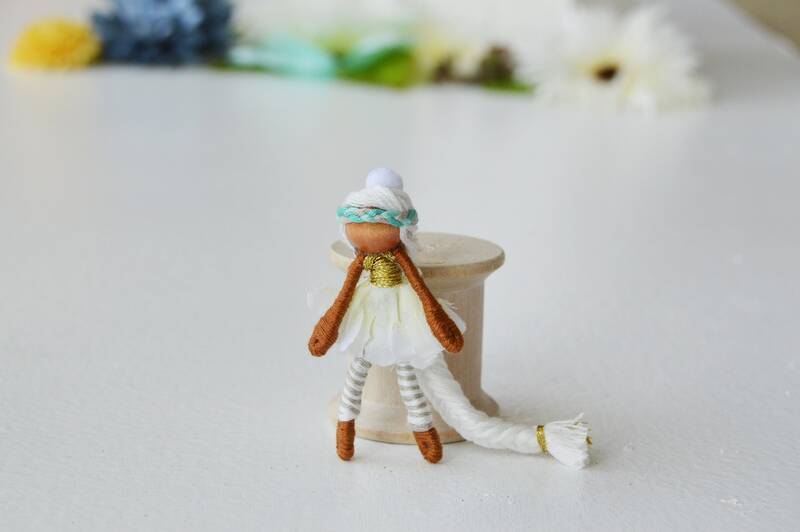 - Nola the fairy stands 2 inches high. 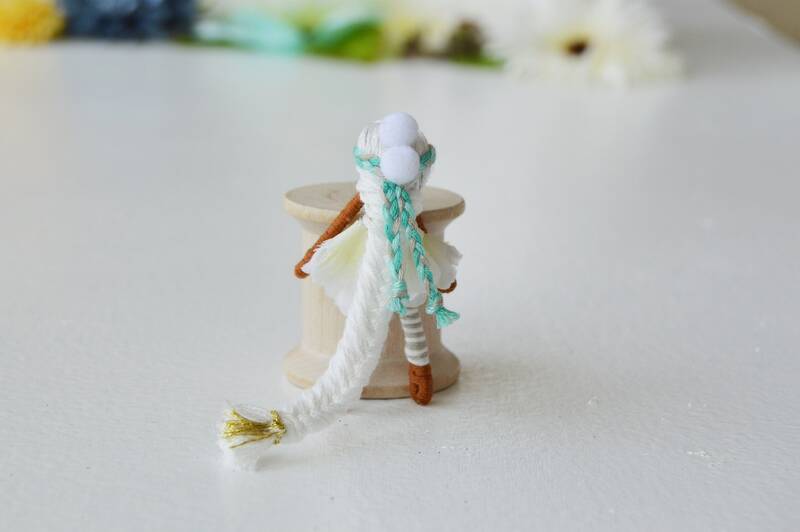 - Materials: cotton floss, wire, wooden bead, faux flowers, and pompoms. 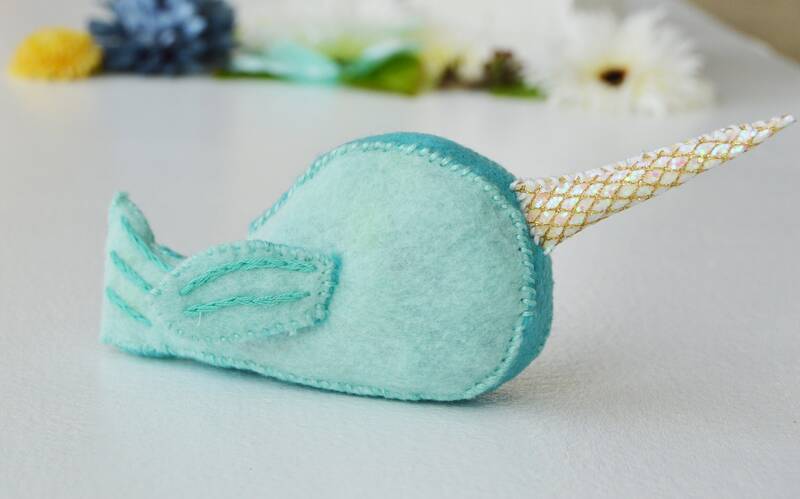 - Nola is about 2 inches high and almost 7 inches long. 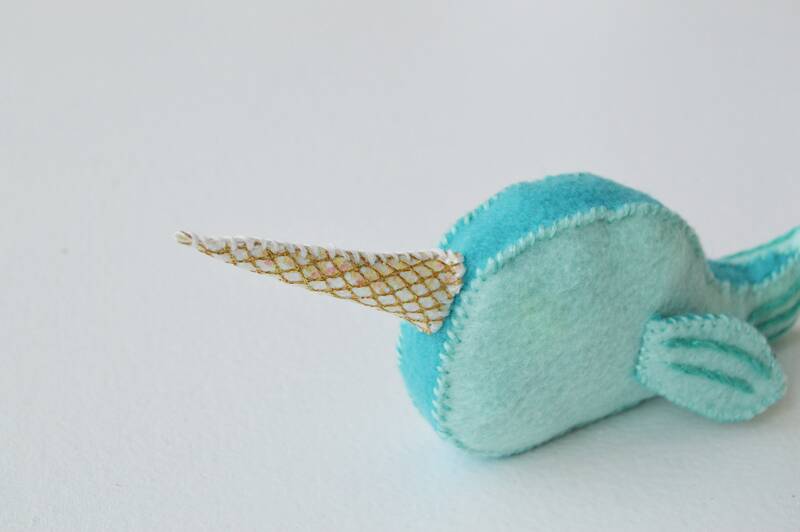 - Materials: cotton floss and polyester felt.